No pet owner loves taking their best friend along for a vet visit. It can be stressful and frightening for even the bravest pets. As a dog owner, I’ve been lucky—my pet hasn’t needed any stressful or invasive treatment from a professiona, yet when she gets to the surgery, she begins stressing out. 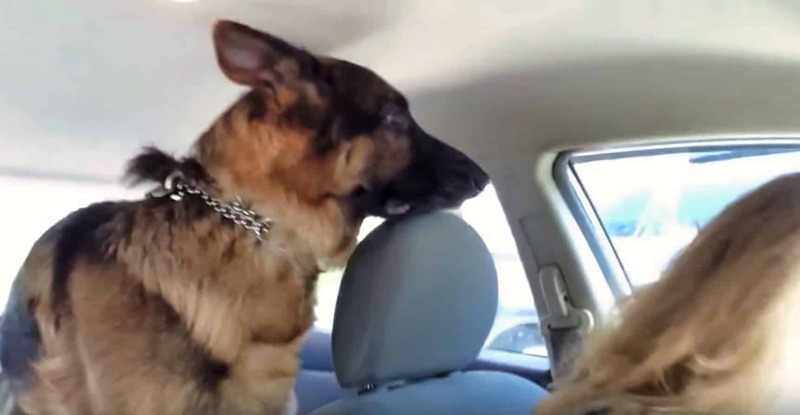 Here’s another pooch who’d really rather be doing other things—meed Enzo, a German Shepherd who thought he was headed on just another car ride. Also known as Alsations, these are robust, strong, and often a very brave breed. German Shepherdsare also suprt smart, being trained for use in airports and in preventing crime. They often have roles in the armed forces, with many serving as brave sidekicks for military crew by detecting roadside explosives. All that bravery went out the window when Enzo figured out where his parents were taking him. The poor boy’s ears get flat as can be, and Enzo begins to whine once the car comes to a halt and the surgery comes into sight. 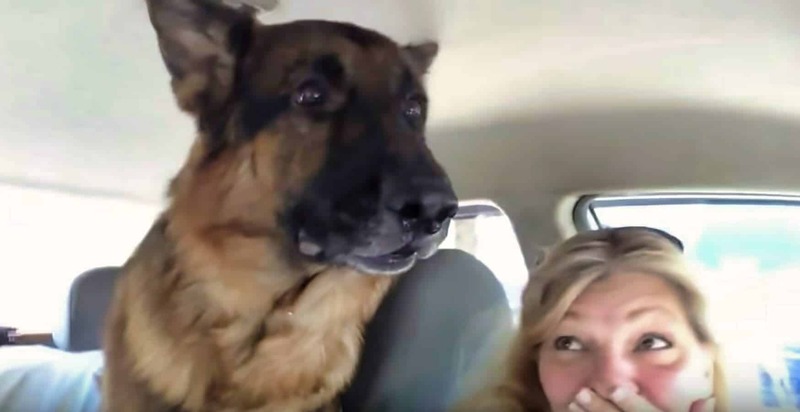 Sweet Enzo’s feeling scared, yet it’s a response that most pooch owners will be familiar with. Happily, his parents caught the reaction on video. Enzo begins spinning around in the rear seat, like he’s ready to get out of there. His parents try—but can’t hold back—a small giggle on seeing Enzo’s cute response, because they know he’s only there for a regular checkup. Hopefully, he picked up on this soon after, too!